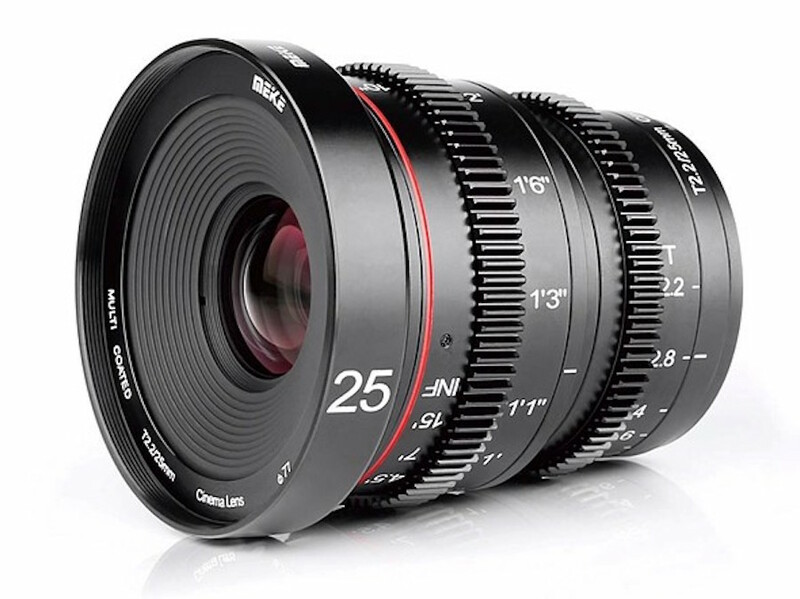 Hong Kong-based Meike has announced a new 25mm T2.2 cine lens for Micro Four Thirds camera systems. This manual focus prime lens has been called a ‘mini imperial’ lens by Meike. It offers low distortion and a large aperture. The lens provides a minimum focusing distance of 25cm/9.84in and a 77mm front filter thread. The optical construction includes ten elements in eight groups, which makes for a 49.7 degree angle of view. The 25mm T2.2 cine lens weighs 560g/1.23lbs and features a pair of geared rings for changing its focus and aperture. The Meike 25mm T2.2 lens is available now on Amazon for $340.